Running a business website using WordPress is an excellent choice. Not only because WordPress is an easy-to-handle content management system with unlimited possibilities, but also because there are thousands of great WordPress themes available, specialized for business websites of any kind. Regardless of your business industry, be it from the field of technology, science, insurance, commerce, management, marketing or else – thanks to the many available WordPress business templates, you will always find a suitable WordPress theme for your needs and requirements. We have handpicked a few of those professional business WordPress themes to provide you with an overview of reliable and popular WordPress themes for your business website. Divi WordPress theme is a flexible multi-purpose template to create all kinds of business websites. Thanks to the included Divi Builder you may compile beautiful and unique layouts according to your liking or simply use the pre-made layouts. Divi offers a fully responsive design and 40 content modules with settings to build your own business website according to your needs and requirements. With Divi you are able to create business websites for any business industry as you may present your services and products in a unique and well-organized way. Zerif Pro is a one-page business WordPress theme which is perfectly suitable for companies to present their business in the best possible way. This fancy business WordPress theme offers such useful features as several custom theme widgets, theme options panel, compatibility with all modern browsers and many more. Zerif Pro also is WooCommerce compatible and includes smooth parallax effects and a modern slider to prominently display your up-to-date content. All necessary features for great usability like contact form, Google Maps integration, events overview and many more come with this fine one-page business WordPress theme. DynamiX business WordPress theme is a highly-customizable template for business websites of any business or service branch. This flexible WordPress theme gives you the opportunity to create your own skins using a super powerful customizer. With DynamiX you can present your showcase in an attractive and modern way, for example by using stunning sliders or parallax backgrounds to impress your website visitors. For those of you who play with the thought of integrating an online shop, WooCommerce compatibility with this business theme will come handy. Movatique business WordPress theme is a fully responsive template for professional business websites. This business WordPress theme is excellent to display your services in a clean and modern way. Using Movatique, you can benefit from contact forms, nice testimonial section as well as browser compatibility, unlimited choice of colors and custom theme widgets. Movatique is suitable in case you want to run customer friendly business websites which let you present your company, services and products in a nice and professional way. MH Corporate is a solid and classic template for business websites. MH Corporate offers a clean, organized and fully responsive design and lets you arrange you content in a well-organized way. Website visitors will get an overview of what you have to offer and can navigate easily through your site to find what they are looking for. This business WordPress theme provides a few more great features as SEO optimization, widgetized front page template, several included custom widgets and many options to manage your website through the WordPress Customizer. Fusion business WordPress theme is a sleek, responsive and stylish template for professional business websites. Fusion is perfectly suitable for startups, tech companies, design firms or any other business. This fine business WordPress theme is packed with awesome features to create a nice and modern website according to your liking. With Fusion you have the opportunity to select from unlimited colors, make use of integrated theme options and shortcodes to extend the functionality and variety of your content. Thanks to the included page templates you can easily create galleries, contact pages, sitemaps and manage your corporate blog. Flat Metro is a clean and modern template for business websites with a fully responsive design. Flat Metro includes some awesome features to create nice and professional websites with a highly modern appearance. You may choose from unlimited colors, over 300 icons and several layout animations. Flat Metro is furthermore SEO optimized, retina-ready, responsive, child theme ready and easy to set up thanks to a nice video documentation guide. With Flat Metro you may create professional business sites for hotels, agencies, car dealers or whatever else you have in mind. Second Touch business WordPress theme is a powerful template to create attractive business websites. Second Touch offers more than 1300 vector icons to extend your content in many different ways. You may further select from 6 layout pages and use retina-ready graphics. In case you are planning to integrate an online shop on your website, you can use the compatible and popular WooCommerce plugin. Second Touch includes great features to create appealing business website that might suit your needs and the needs and requirements of your potential customers. 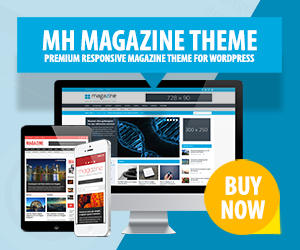 MH Impact is a suitable WordPress business theme for modern online presences. This business WordPress template offers a flat-like design which is 100% responsive and looks awesome on all kinds of screen size resolutions. MH Impact further includes a nice and prominent call-to-action widget to encourage your potential customers to get deeper involved with your services. Thanks to its SEO optimization, user-friendliness, fully widgetized front page and several included custom widgets, MH Impact is perfect for professional and modern websites for any kind of business. Eventor is a business template with a responsive layout to create professional websites and display latest events or else. As Eventor is fully responsive, your content will be presented in a nice and clean way no matter what screen size resolution. This flexible business WordPress theme is furthermore translation ready and offers several shortcodes, custom widgets and detailed PSD files. With Eventor business WordPress theme you may display program schedules, manage advertisements and make use of many other great features to present content to your customers. Thanks for sharing this amazing business WordPress theme list. I found KingMa, that is a new advanced feature-rich and creative business WordPress theme which you could add to your list. Hi Rubel, thanks – we’re happy that you like this collection of business WordPress themes. For advertising opportunities regarding your WordPress theme, you can contact us.